Your requirements are important to us. In order to achieve the best possible end result, we are on hand to give you help and suggestions with queries you may have including; colour schemes, textures, finishing’s and repairs. The quality of our work is paramount to us as we hope to create that bespoke look you have always wanted. 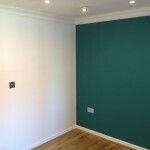 We provide a trusted, reliable painting and decorating service for any internal and external areas within your home. If required, we can also provide you with contact telephone numbers of our recent customers who will be happy to provide testimonials to you. We are fully insured to carry out work on your property. Our quote will clearly state the cost of labour and materials with no hidden charges. 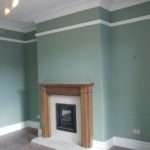 We have an excellent reputation for painting and decorating in Idle and Thackley, Bingley, Bradford. Our business is 90% word of mouth recommendations so you can be guaranteed that we will turn up on time and finish the job to the best possible standard.